It is as true today as it was said on the WCBC’s 75th anniversary: “Birding is a pastime we can pursue and enjoy alone, but through the club field trips and programs, we are able to share experiences and learn from each other as well as keep up on current bird sightings and activities.” James D. Russell, WCBC president 1985. In 1908, Dr. Clyde E. Ehinger, faculty member of the West Chester Normal School, gave a series of lectures on birds at the New Century Club in West Chester, Pennsylvania. The interest created by the talks led to early morning, spring bird walks in and around the borough two or three days a week. The group also met weekly in the evening to discuss what had been seen and to study related subjects. The group was formally organized as the West Chester Bird Club in 1910. Thus it is one of the oldest continually active bird clubs in the country. Dr. Ehinger accepted the presidency and Miss Lilian Pierce became secretary. The first meeting was held on March 3, and on April 9 the club traveled to Philadelphia where Dr. Witmer Stone of the Academy of Natural Sciences pointed out the main identification marks of warblers in the Academy’s bird skin collection. This was probably the first field trip away from the immediate area. Meetings were held in members’ homes, and membership was by invitation, at first by Dr. Ehinger only. The aim was not to secure a large membership but a vitally interested and congenial group. The club was a serious study group as evidenced by its activities. Life histories of species were written and reported on by members at meetings. Bird skins and eggs were often on display, and the club traveled by trolley, train, ferry and whatever means required to reach Peach Bottom, the New Jersey shore and other spots to observe and study birds. In 1914 the club held its first Christmas Bird Count, and in 1919 became a sustaining member of the National Audubon Society. The resignation of Dr. Ehinger due to failing health, and his move to Indiana in 1921, was a devastating blow to the club, but membership rallied on November 7 when Thomas H. Jackson accepted the office of president. That was also the year in which club dues of $1.00 were first assessed to defray general expenses and C. Edwin Smith became the treasurer. Mr. Jackson’s term as president ended prematurely with his demise in February 1922, and Isaac G. Roberts became president. He immediately appointed program, place and membership committees. Later, legislative and field trip committees were added, giving the club the organization on which it still operates. The second 25 years saw the club expand its activities. 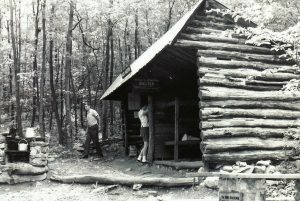 In 1939, under the leadership of Margaret S. Goodwin, the club planned and built the Isaac Roberts shelter at Hawk Mountain. The long travel time to visit Hawk Mountain in the early 1940’s meant that club members missed seeing the early morning and evening bird flights. The lean-to still stands today. “Peggy,” as this dynamic woman was known to her friends, was a driving force in the club with new ideas at a time when the club had lost some of its early zeal. Accomplishments by the club through the years have been significant The club helped pass legislation to protect birds of prey and urged that funds be raised to establish more wildlife sanctuaries (See Activities below.). The club continues to voice its opinions and makes contributions to local, national and international conservation organizations. By the 1950s the club had compiled “A Checklist of the Birds of the Middle Atlantic States” now in its 7th edition and including 364 bird species. “Birds of Longwood Gardens” was published in 1958 after considerable work by the club. This was followed by an even more comprehensive field survey of the county which resulted in the club publishing “An Annotated List of Chester County Birds” in 1962. This publication is now in its 5th edition,which includes information on the best bird watching sites in Chester County. For the 100th anniversary year, a banquet was held at the West Chester Country Club. 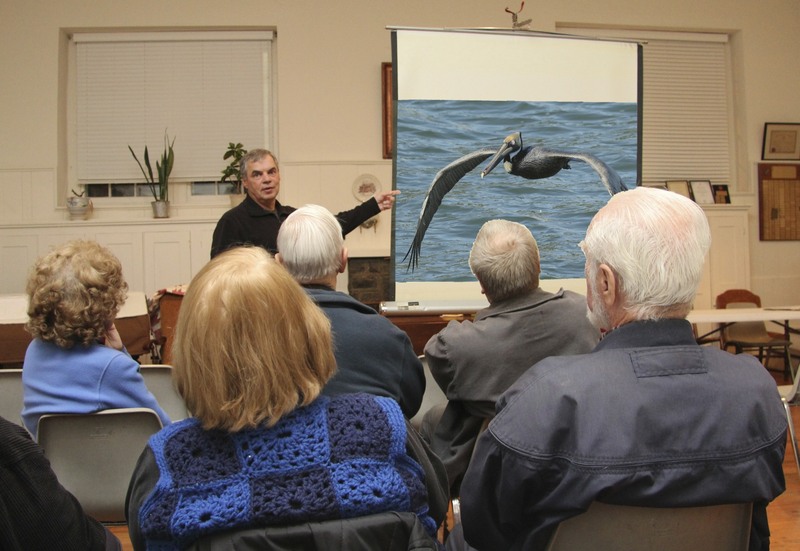 Pat Sutton, formerly of the Cape May Bird Observatory, gave a talk about birding in Cape May. In honor of the 100 years, the club took a 2-week trip to Spain and a 2-week trip to Washington state. The following year, a long weekend was spent in Chincoteague. Field trips have always been an integral part of the club’s activities. Each year the club conducts approximately 45 field trips consisting of local half-day trips and full day trips in southeast Pennsylvania and nearby states and occasionally more extended trips. Trips are open to all interested people. The Spring Count in Chester County, originally a one-day affair, now extends from April 15 to May 15. The club also participates in the Pennsylvania Migratory Bird Count on the second Saturday in May. 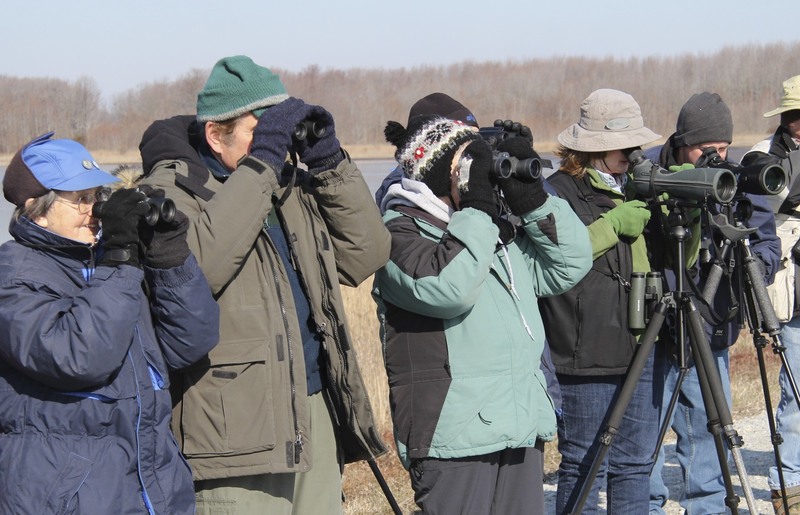 The National Audubon Christmas Count remains a tradition and the club covers a 15-mile diameter circle centered on West Chester. Although the 2nd Pennsylvania Breeding Bird Atlas was technically not a club activity, many members participated, and surveyed designated blocks of land in the Chester County area. Since its organization, the WCBC has used its influence to help pass legislation to protect birds of prey, especially the Bald Eagle, and to remove bounties on these birds. November 1916, urged representatives of Congress to vote for a repeal of bounties on all species of hawks and owls. In 1929, the club united with others in urging that funds be raised for establishing bird sanctuaries in many areas of the country. January 1930, members used their influence toward passage of a bill for protection of the Bald Eagle. November 1932, the club urged that hawks be protected. March 1950, the club again urged support for the Bald Eagle protection in the Alaska Territory. The Bald Eagle protection in the territory was not included under protective laws for birds established for states. There was a $2 bounty for the Bald Eagle in the territory. The WCBC urged establishment of more wildlife sanctuaries and the cleaning of streams. In 1960, the WCBC Hawk Watch was established at Swiss Pines Lookout in Charlestown Township. Fifty-five hawks were seen the first day. WCBC members have given time and effort throughout the club’s history to educate children and adults about birds. Bulletins summarizing club activities were published during the early years. By mid-century, club members had compiled “A Checklist of the Birds of the Middle Atlantic States” with 310 bird species. Members provided the field work for “Birds of Longwood Gardens” published by Longwood Gardens in 1958. This was followed by a more comprehensive study of Chester County resulting in the publication of the “Annotated List of Chester County Birds” in 1962. It has undergone multiple updates with the most recent one completed in 2012. Beginning in 1983, members of the WCBC participated in a statewide project to atlas the breeding birds of Pennsylvania. This project entailed five-years of fieldwork. Club members also participated in the atlas update from 2004 through 2009. From 1990 through 1991 club members surveyed birds in the Chester County parks. The parks used the data collected to create printed avian checklists for visitors that included the likelihood of seeing the specific species.